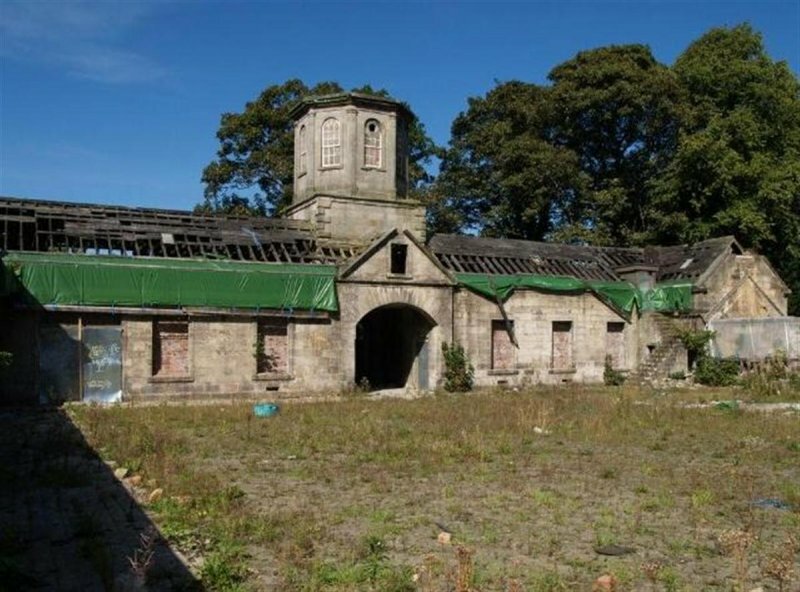 The Georgian Stable Block is a surviving remnant of a historic country estate. First built around 1750 it provided a magnificent landmark situated on high ground with an impressive octagonal tower topped with a dome. It is Category B-Listed, a fine example of its kind and unique in the area. Castlemilk House itself was demolished in the 1960s. 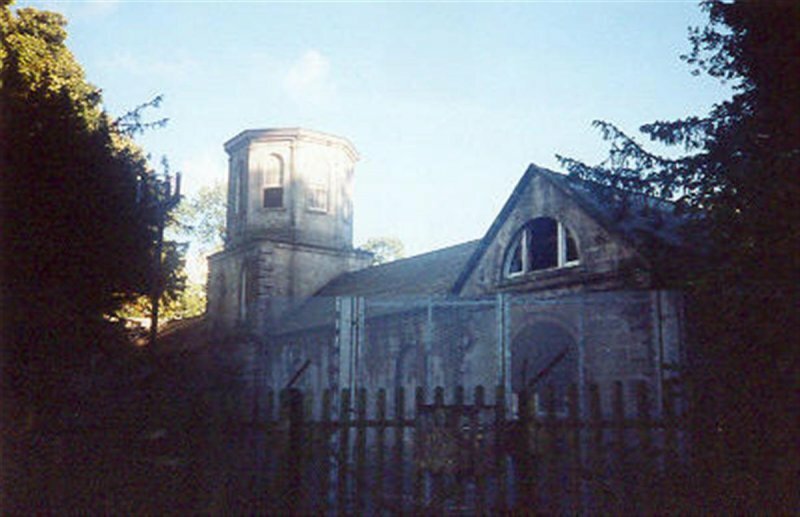 By 1994 the stable block had become vacant and fire damaged. The building was entered on the Buildings at Risk Register in 1996. The people of Castlemilk Housing Estate mounted a 10 year long campaign to save the building and give it a sustainable re-use. A feasibility study identified the local housing association as an end user that would use the principal space as offices and lettable office accommodation which would in turn provide income for community uses and maintenance of the building. 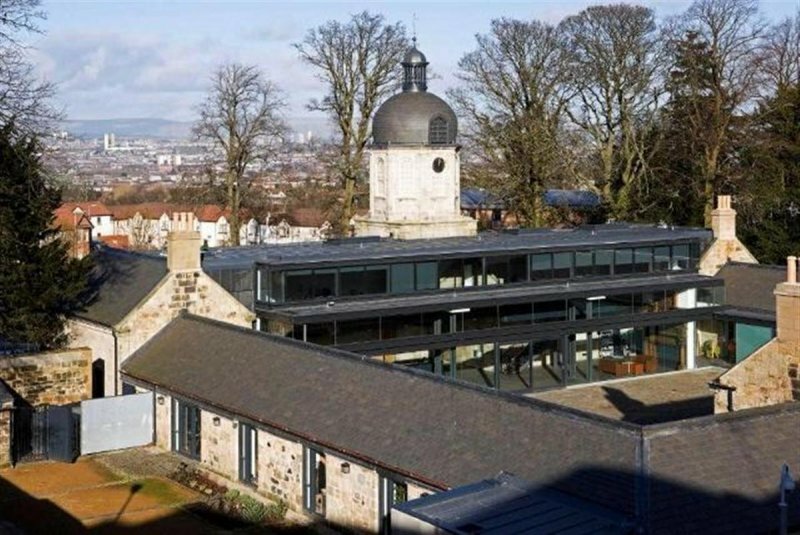 To be viable Glasgow Building Preservation Trust identified a need to increase the usable floor area, whilst avoiding compromising the architectural integrity of the building. 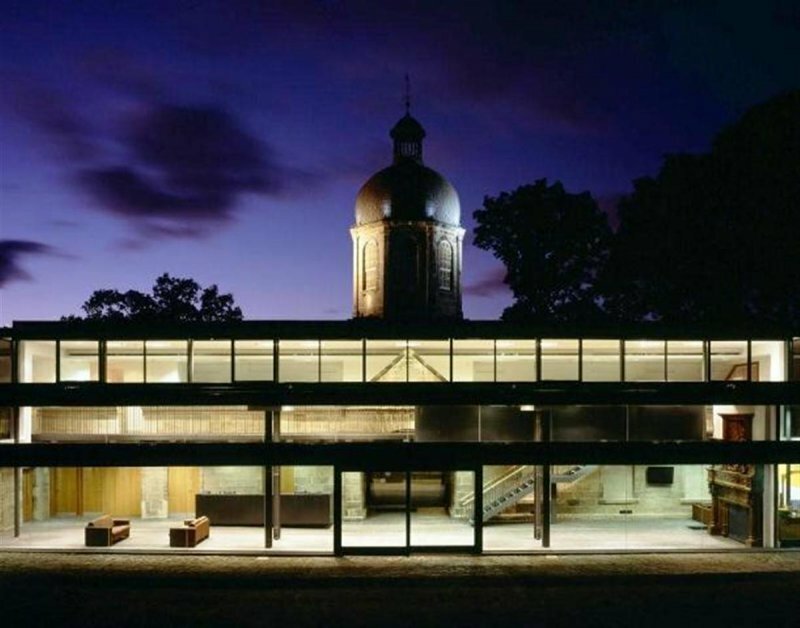 GBPT purchased the building, assembled the design team and raised the funding with partners (in excess of £4m from a total of 26 agencies and charitable organisations), then oversaw the delivery of the re-use of this local landmark. 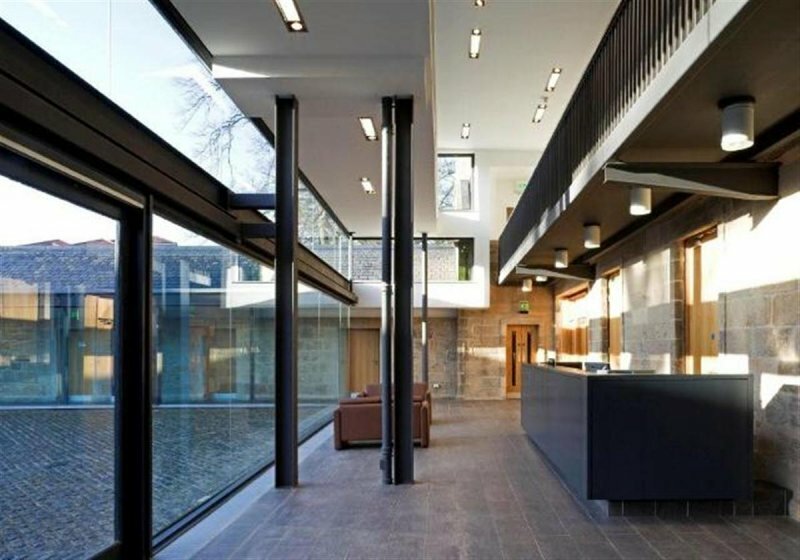 Elder and Cannon, the Glasgow-based award winning architects, worked to find a way of restoring the historic fabric of the Category B Listed building and at the same time give it the new floor area required for viable social enterprise. The answer has been to repair the external elevations very much as they were, and add a simple glass and steel cloister and inner foyer which allow the original fabric to be viewed whilst enabling the creation of a modern multi use space. - leisure space to use for meetings, clubs and countless activities/ events. Costs of works £3.2 million, excluding £103,000 fire damage costs. Total project cost circa £4.1 million. More than 20 grant aiders, Full list of funders can be viewed on GBPT website.